1. Place lime, sugar and mint in a shaker and use a muddler to crush the lime juice and mint. 2. 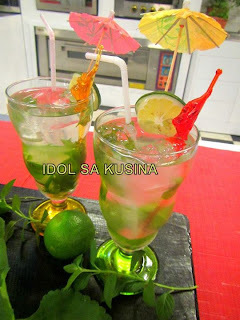 Place ice in glasses and pour the crushed lime juice, then fill glass with soda water. Serve.